Half of 90s, dinner. The leaders of the most important Central Banks of Europe sit at the same table. They are just talking about the euro to come. «My fellow citizens thinks that euro is Paradise. But euro is not Paradise… Euro will be… » «Hold, Hans… It will be a Purgatory». The first interlocutor was Hans Tietmeyer, then president of the Bundesbank. The second interlocutor was Antonio Fazio, then president of the Bank of Italy. Saturday, the 3rd of March 2012, Antonio Fazio got the Fiaccola d’oro, the golden torch – a prize inspired to the vision of the mother of Saint Dominic de Guzman: when she gave the saint to light, she saw a dog with a torch in his mouth that was running enlighting world. The prize, conferred by Circolo San Tommaso d’Aquino Onlus, is dedicated to people that are able to “enlight” with their ideas. In Aquino, when he got Fiaccola d’Oro, he chronicled the monetary European politics from the end of the Second World War to now; from Bretton Woods Conference– when the dollar became the only currency convertible in gold – to the Nixons’ decision to unilaterally suspend the convertibility of Us dollars in gold. From there, a laissez-faire economy followed: the banks now strike currency (not coins). Fazio underlined that the root cause of today’s economic woes is the growth of excessive credit and monetary liquidity in the past few decades, which, in turn, inflated asset bubbles and set off a succession of debt and confidence crises. It also held that the lack of regulatory controls on international finance exacerbated the problem — in other words, that the pace of economic globalization has been out of control. What to do now? 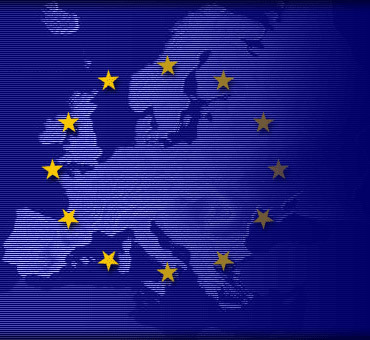 Look back to the Treaty of Rome (1957), that gave birth to the first embryo of European Union, in order to «adjust» the Treaty of Maastricht (1992), which is the basis of the European Union of today. «The treaty of Rome – Fazio remindes – emphasizes development; the treaty of Maastricht emphasizes the market. The treaty of Rome also contains a strong reference to subsidiarity – it was Pius XI to introduce this issue in the encyclical Quadragesimo Anno». 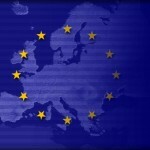 Is sufficient to look back to the treaty of Rome? «Towards Reforming the International Financial and Monetary Systems in the Context of Global Public Authority», the reflection published last October by Pontifical Council for Justice and Peace, went beyond: because of the instability of the economy, the world now requires «a system of government for the economy and international finance». Once world leaders recognize – the Council argued – that increasing global interdependence is forcing countries to move beyond a Westphalian, or State-based, international order, they will be more prepared to cede their own sovereignty in the interests of global humanity’s common good. Considering the Church’s history and its social doctrine, the call for a supranational authority is not a surprise. The devastation of World War II brought senior European Catholics to outline a project for peace, to overcome the shadows of the past. Prominent Catholics such as the former French Prime Minister Robert Schuman were central players in the processes set in motion by the 1957 Treaty of Rome. Six years later, Pope John XXIII endorsed the idea of a world authority, a call reiterated in all subsequent Popes’ social teachings. Where, if not in Aquino? «Where, if not in Aquino? [...] If you are not the first disciples of Thomas Aquinas, what could the others say?» It is September, 14th 1974. Paul VI addresses to the town of Aquino at the end of his journey in the places of Sain Thomas (Montecassino abbey, where Thomas studied; Fossanova Abbey, where Thomas ended his life, while travelling to the Council of Lyon; a passage – not a stop – to the Castle of Roccasecca, that in Thomas’ times was part of the territory of Aquino, and where the Doctor Angelicus was born), the Pope finally reaches Aquino. There, Thomas wrote his last autograph letter to Bernardo Ayglerio, abbot of Montecassino, while he was heading to the Council of Lyon in 1274. The crowd that welcomes Paul VI is incredibly warm. And the Pope speaks off the cuff. His speech arouses consciences. «What am I going to say to you, citizens of Aquino? Needles to say to be happy and proud to be descendents and fellow citizens of such a great man, a saint, a doctor of the Church, one of the biggest characters in the history of humanity, that uncased the doctrine of the Church in a way that maybe no one else in the story was able to do. […] Let us wish you – recommend you – what is now of your responsibility and of your spiritual responsiveness: be worthy to have the name of Thomas Aquinas». The story of Thomas Aquinas reminds us that the Middle Ages were already a globalized world. Thomas studies in Montecassino, then in Naples, then in Paris, then in Koln with Albert the Great, then in Paris again, and finally he goes to Naples to found a stadium generale. Nowadays, he would be called visiting professor. In the Middle Ages, he was just a cultured person. A cultured person to value. There is much to reconsider about the Middle Ages. The Black Legend that depicted Medieval Age as «dark centuries» had been invented during the 18th Century during the Enlightenment, and it resisted through Romanticism and Evolutionism. But – in the “long” millennium between 5th and 15th century – everything and the reverse of everything happen. In that time – and not only in that time – there had been the Barbaric invasions and the stakes of Inquisition; but there had also been the starting of modern sciences and techniques, the splendor of Gothic Cathedral and Scholastic Rationality, the Foundation of Universities and of the economic-financial system that still exists today. «Between 1000 and 1200 – Antonio Fazio, former governor of the Bank of Italy, said the last May to a convention about the encyclical Mater et Magistra – world population rapidly increase. In Europe, Medieval civilization flourishes with towns, trades, universities of Paris, Bononia, Naples, Oxford. Until 1350, the population growth continues: population in Europe is more than the double of year 1000. At the half of the 14th century, the number of men and women passed from 30 million to about 75 million. During the Centuries when the power of Rome rose and developed, European population – from 400 b.C. to 200 b.C. – doubled. Then, a period of demographic decline that last until 600 after Christ follow. During these years, the power of Rome disappears. Southern Europe and Italy are invaded by barbarous, civil and economic life reverts. Just the ecclesiastic (Christian) centres of power and civilization are saved. At a later time, the culture of the big Benedictins monasteries will develop. Only after the crisis of the last Medieval Age – the second half of the 18th century – and so during the 19th and 20th Century, there had been in Europe and in the World an always higher demographic resumption». The problem of «common good» comes out from there: how could we manage economy in favor of the wealth of the globality of the population of the world? Yet, Thomas Aquinas was already aware of it. So aware that he outlined it in De regimine Principum (On the government of princes), a small treatise sketched out to answer the King of Cyprus that asked Thomas how to govern. «When men – Thomas writes – see that the common good is not under the command of one only person, they do not take care of it as it was another’s, but as it was their own thing. This is the reason why, when the administration of a town is in the hands of annual magistrates, this town is more powerful than a king that owns three or four towns». This is a pivotal principle of the Social Doctrine of the Church: the subsidiarity. On the bases of this principle, recently Benedict XVI praised the cooperative credit banks, actually the fourth banking group in Italy. «What impelled supporters – the Pope said – to associate with each other in cooperative-type organizations, often with the crucial contribution of priests, was not only financial need but also the wish to experience unity and solidarity that might lead to bridging the financial gaps and social conflicts between the different groups». Let us get back to the story of demographic development. The development of population provides economical, political and especially cultural responses. Industrial revolution brings an income that is excessively concentrated in the hands of capitalists. Workers are used. They are only rich of children: the proletarians workers. The social question arises. Cultural, moral and then political responses to the social question are the Communist Manifesto by Karl Marx and – at a later time – the encyclical Rerum Novarum by Pope Leo XIII. This encyclical is anticipated by actions and intervention in favor of the new poors brought on by ecclesiastical people (bishop von Ketteler in Germany; Frederick Ozanam in France; don Giovanni Bosco and Giuseppe Toniolo in Italy). The social question is then moved to an international level. Paul VI writes the encyclical Populorum Progressio in 1967. Pope Montini prophetically tackles the new issues, that are connected with globalization. But the International Monetary Fund will take 40 years to make of Globalization and inequality the headline of his annual report. It is 2007. «Economy and its development – Fazio explains – are human actions. Benedict XVI, in his encyclical Caritas in Veritate, makes a relevant step forward in defining the Social Doctrine. He takes the teachings of John XXIII, Paul VI and finally of John Paul II on the importance of Christian values of the announcement of the Gospel in order to improve society, and economy as well. Benedict XVI affirms that these values can, must influence the choices for the investments – by the ones economic and social development definitely depends – in order to orientate them to realize an integral humanism. Economic wealth and global peace descend from this integral humanism». Fazio combines the solidity of his economic thought with the passion for the Aquinas. The reinforcement of Italian banking system was one of the key points of the Fazio’s economic job. He fell the risk that the possible indiscriminate takeover of Italian banks by big international banks would eventually let fall the “architecture” of Italian economy, made up by the little credit institution promoted by don Luigi Sturzo. The system gave birth to several credit institutions: Banche Popolari (Popular banks), Casse di risparmio (mutual savings banks) and Casse Rurali. All of these institutions were attentive to the small companies and anchored to the real economy. Don Luigi Sturzo was a Catholic priest and politician. He founded the Partito Popolare, and his the «father» of Christian Democracy – the Party of Catholic inspiration founded in Italy after the World War II. The fathers of Christian Democracy met in Camaldoli in 1943, to write the so-called Codice di Camaldoli (code of Camaldoli), the document that contained the “Catholic” proposals to rebuild Italy after the war. And who could ever think that there is a lot of Thomas Aquinas inspiring those who wrote the Code of Camaldoli? They had been taught in the Movimento Laureati (Movement of the Catholic Graduates) of the Azione Cattolica by mgr. Giovambattista Montini – who will then began Pope Paul VI. Montini loved to go stick to the point: first of all, he wanted his boys to go and study the Summa Theologica by Thomas Aquinas. «All the Social Doctrine of the Church – Marcelo Sànchez Sorondo, Chancellor of the Pontifical Academy for Sciences, says – is around the issues raised by Thomas Aquinas: the Common Good, the Human Person, the Justice. According to Thomas Aquinas, justice is the first attitude of the social conscience. Justice has not been invented by socialists, Marxist or Liberation Theologians. There are also other issues that originated in Christianity and that have been then secularized. As well». The problem is even deeper than this. And it was Benedict XVI himself, in his conference «Europe in the crisis of cultures» (the last one he held as cardinal Joseph Ratzinger) to notice that «there is a new moralism today whose key words are justice, peace, and the conservation of creation—words that evoke some of the essential moral values that we do in fact need». But – Ratzinger added – «this moralism remains vague and so slides, almost inevitably, into the sphere of partisan politics. It is above all a claim made on others, and is all too little a personal duty for our daily lives. What, in fact, does “justice” mean? Who defines it? What is conducive to peace? In the last decades we have seen in our streets and in our squares how pacifism can deviate into destructive anarchism and terrorism. The political moralism of the Sixties, whose roots are far from dead, succeeded in drawing young people full of ideals. But its basic thrust was wrong, because it lacked a serene rationality and because, in the end, it valued political utopia above the dignity of the individual man; indeed, it proved capable of going so far as to despise man inthe name of its lofty goals. The political moralism that we have lived through, and are living through still, not only does not open the way to regeneration, it actually blocks it. The same also holds, therefore, for a Christianity and a theology that reduce the core of Jesus’ message, the “kingdom of God,” to the “values of the kingdom,” while identifying these values with the main watchwords of political moralism and proclaiming them, at the same time, to be the synthesis of all religions—all the while forgetting about God, despite the fact that it is precisely He who is the subject and the cause of the kingdom of God. What is left in his place are big words (and values) that are open to every kind of abuse.».